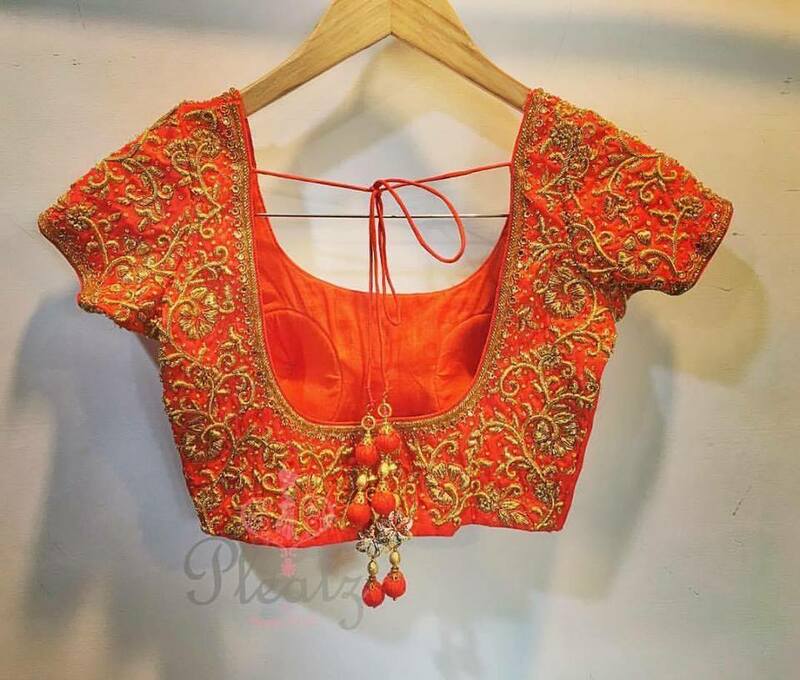 We have always emphasized on the importance of beautifully designed blouses, perfectly aligning with the sarees. 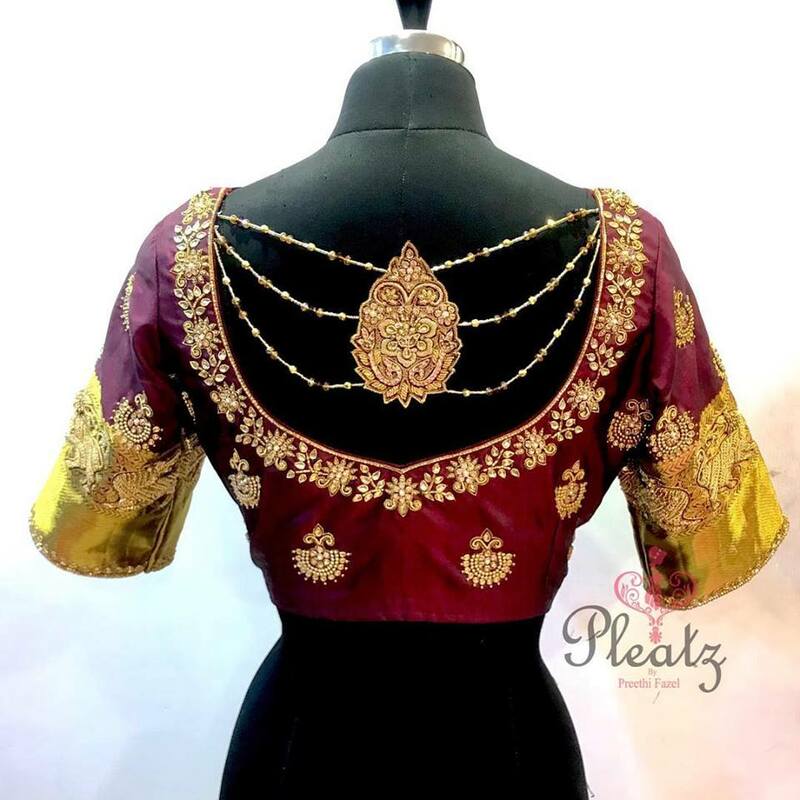 A blouse has full power to enhance or degrade the overall appearance of a saree. 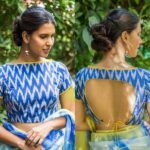 Different sarees require different blouses. Whereas a cotton saree will require a simple and modest blouse, a silk saree will entail a heavily embroidered blouse. Silk sarees have a certain grandeur and royalty reflecting from them. So, the blouses that you pair with them should be equally magnificent. 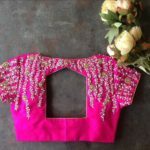 Heavy embroidery is what makes a blouse look royal and luxurious. 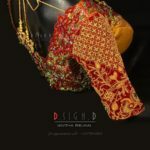 Apart from embroidery, you should also prefer pairing a high quality silk blouse with your silk saree. 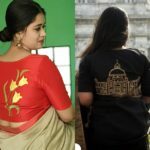 As it might be difficult for you to find a brand or boutique dealing with heavy work silk saree blouses, we have decided to make it hassle free for you by shortlisting one. 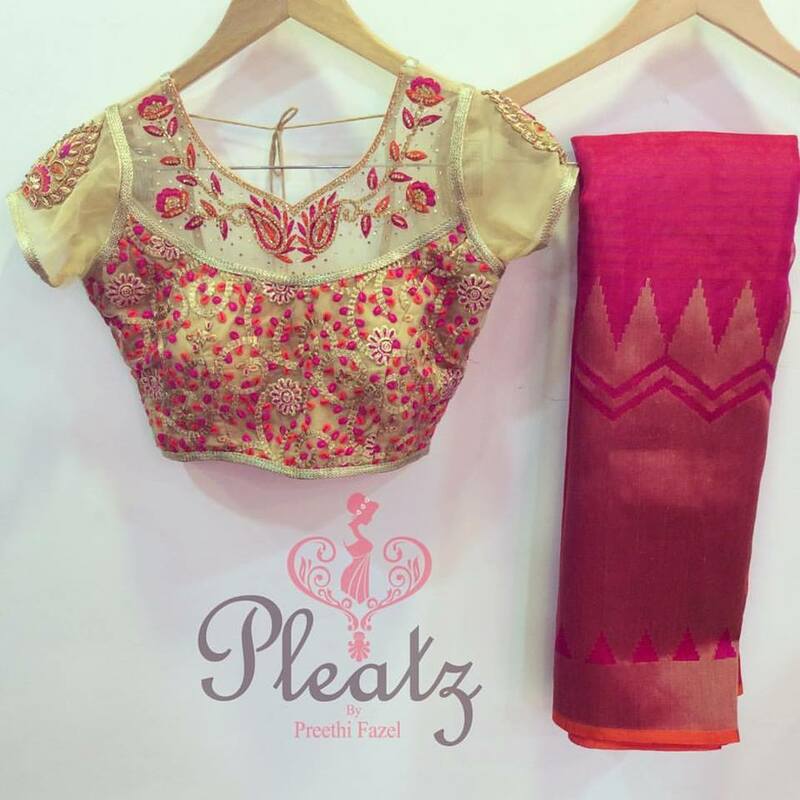 Pleatz is a renowned design studio dealing with sarees, blouses, wedding gowns, lehengas, etc. They have both readymade and customised products. Pleatz defines extravagance and magnificence. 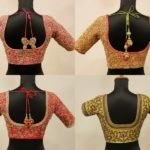 You can easily find heavily embroidered silk blouses with different types of backs like oval backs, deep backs, net backs, square backs, etc. 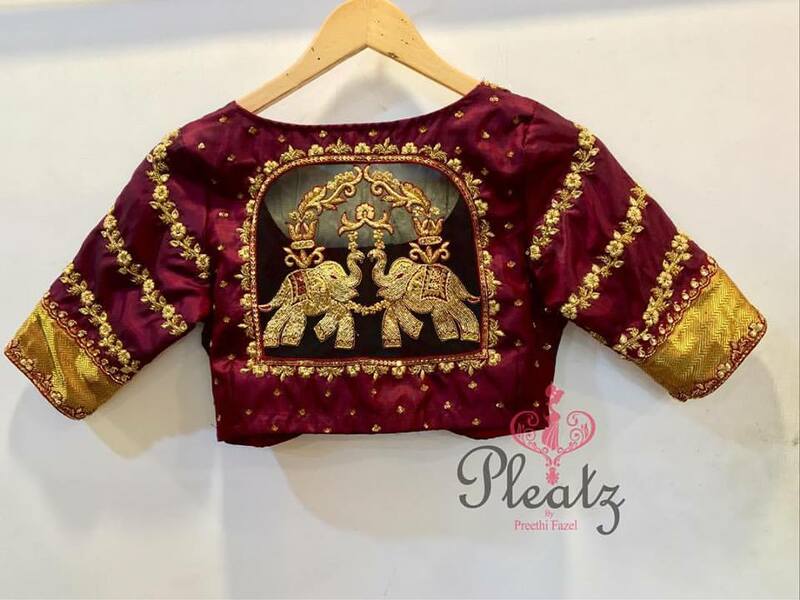 The blouses have fully body embroidery work, making them a piece of art. 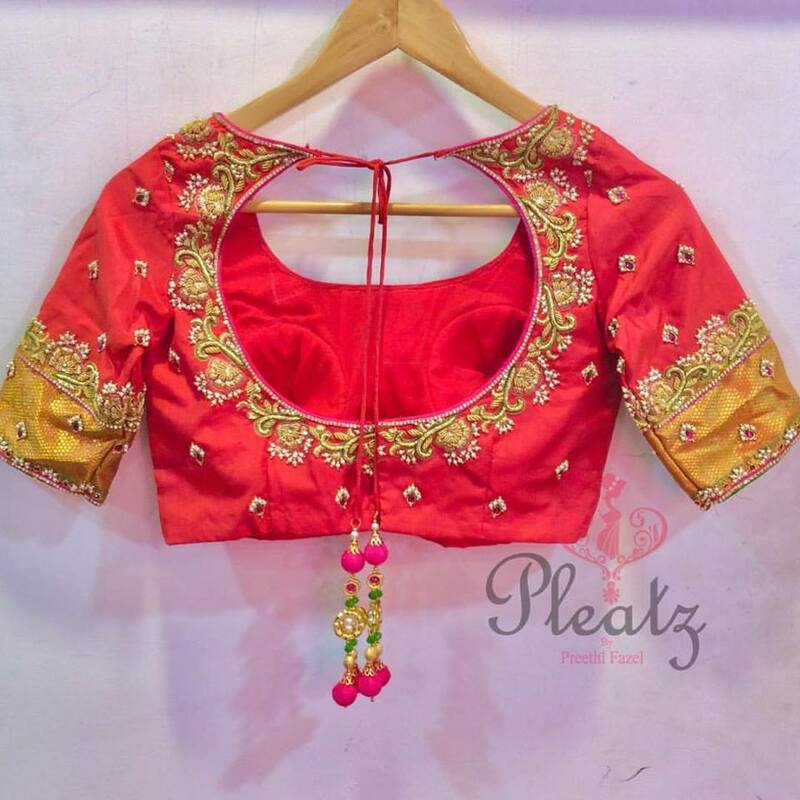 Another best thing about Pleatz is you can customise your own blouses or other products. They believe in fine craftsmanship and intricate detailing. You can customise your own designs at extremely reasonable prices. 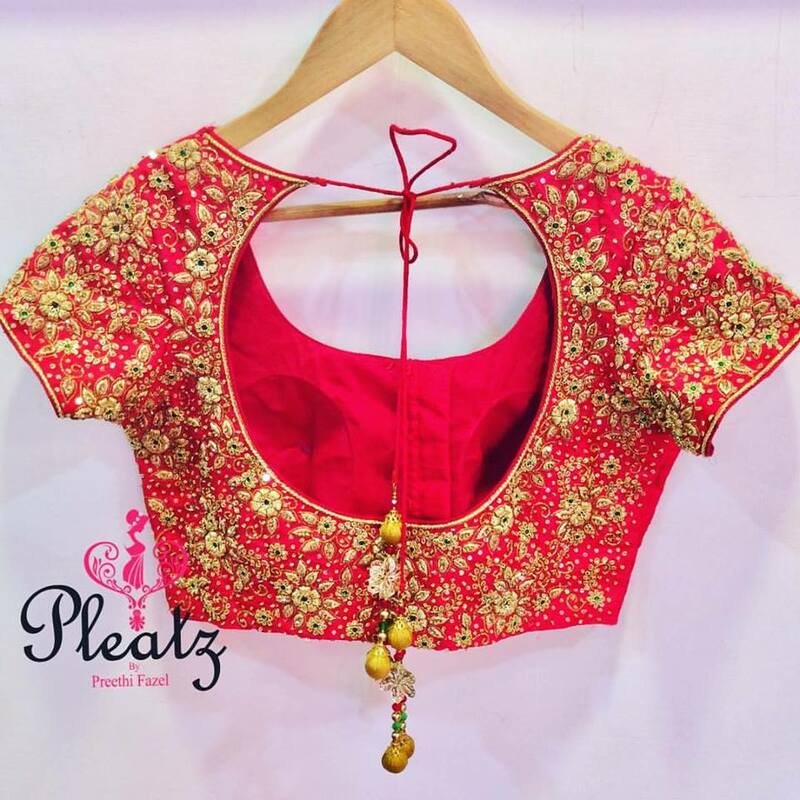 So, hurry up and get ready to dazzle everywhere with the stunning blouse crafted by Pleatz. For inquiries, please find below the contact details of the brand. 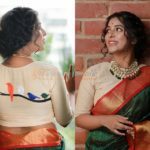 Previous article21 Breathtaking Kalamkari Kurtis and Where to Shop Them!